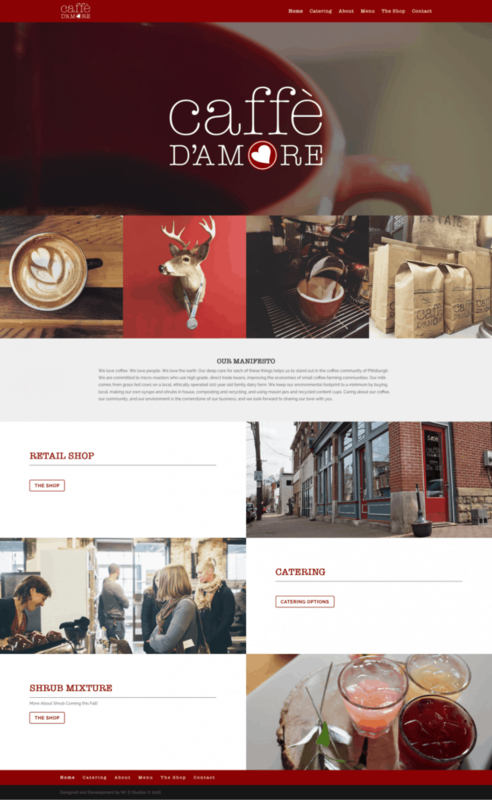 Caffe D’Amore Catering is a local coffee shop here in Pittsburgh’s Lawrenceville District. The little coffee shop started in Pittsburgh’s Strict District’s Public Market. Over the past several years the business has grown in several directions including catering, fresh vegetables, and even shrub drinks. The Client wanted a website that more encompasses the personality of the Shop, it’s customers, and elaborates on the services they offer. Additionally, they wanted a greater detailed section for their coffee catering and a means of gathering information from clients who are interested in Catering Services. 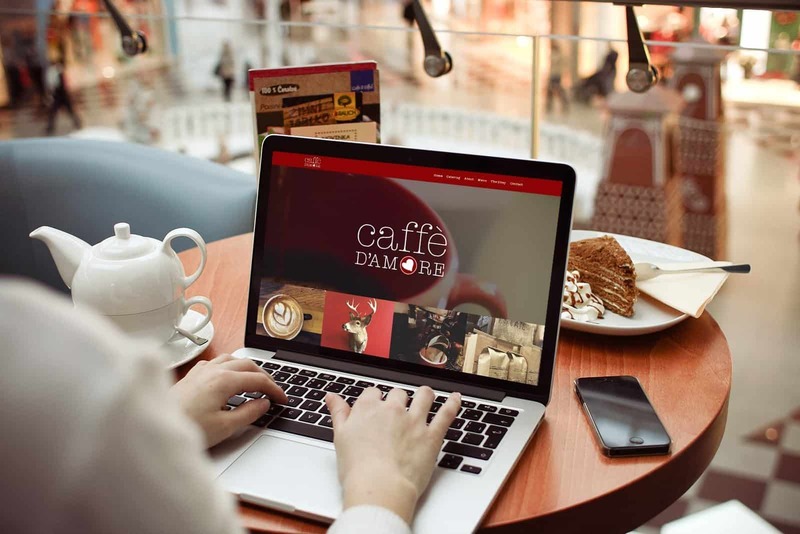 The perceived persona of the cafe and how we wanted to demonstrate that with the new website. What information was necessary to engage customers visiting the site. What are common questions the cafe receives? What information does it need from clients looking into their catering service? 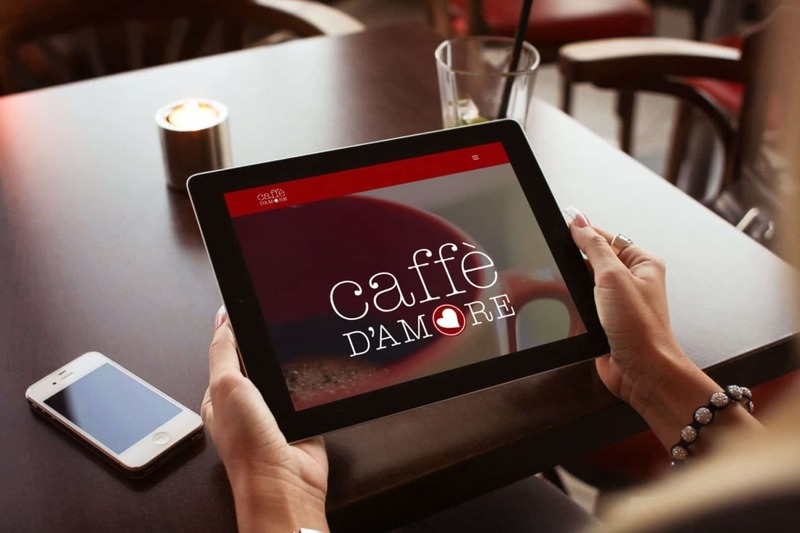 Mr. D Studios was able to provide a unique website that allows people to find out about Caffe D’Amore’s drink menu, shrub, events, and partnerships within the community. 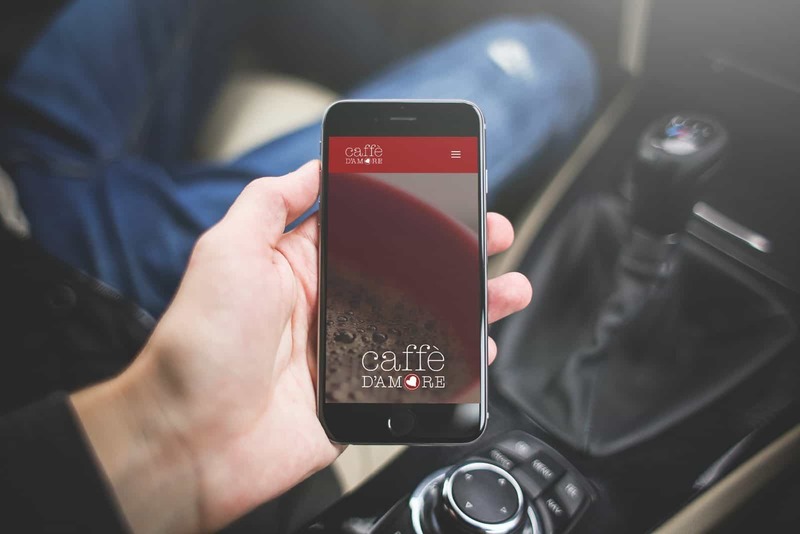 As a business website seeking scalability, a quote form for catering was established to allow people to request information specific to their event – acting a lead generation system for the cafe’s growth.